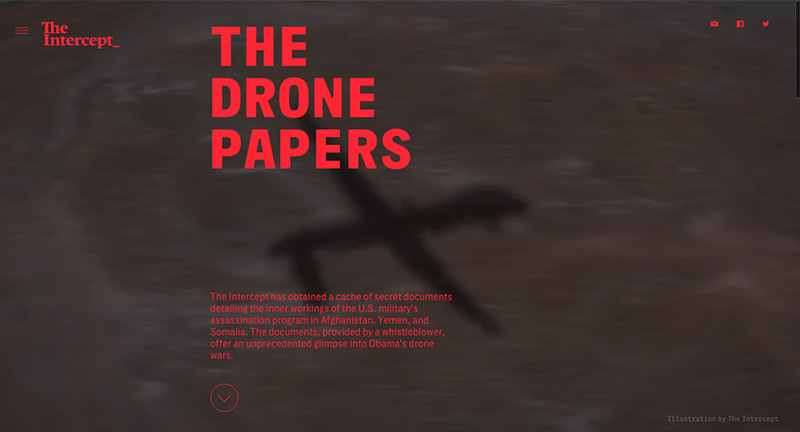 Redesign of ‘The Intercept’ a platform for reporting on leaked documents and thought provoking stories. 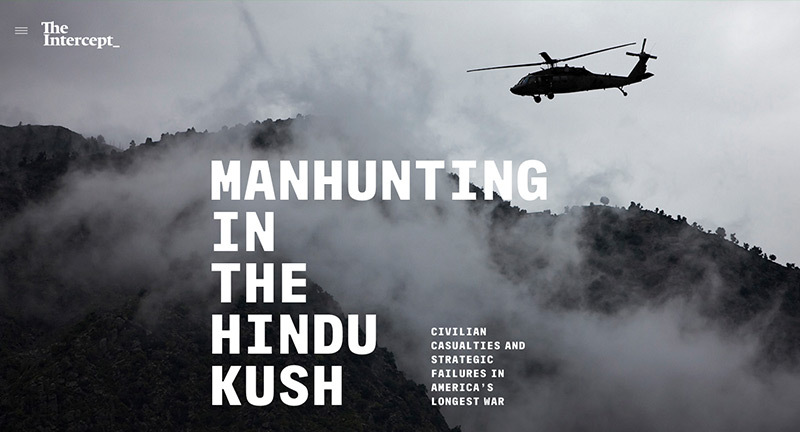 This example shows a series of stories about Drones and their use in covert operations. 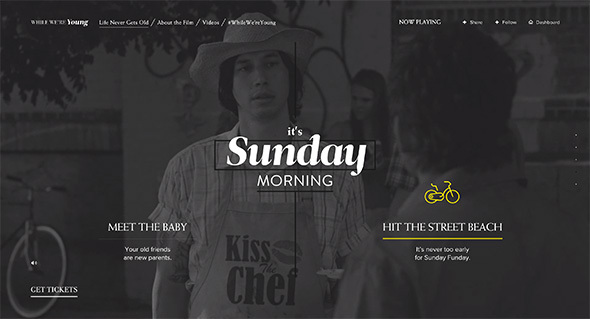 Love the mixture of full bleed video, large imagery, and editorial layout to create an impactful design. Some really nice UI touches such as the menu, the sticky nav on the left, and bookending of articles and pages. 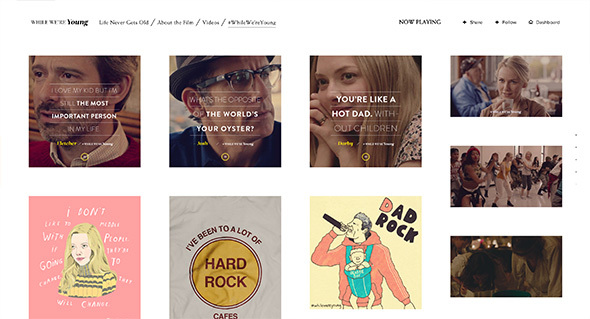 Well crafted with insightful content and well designed layout full of thoughtful details. Created by First Look Media (@firstlook). 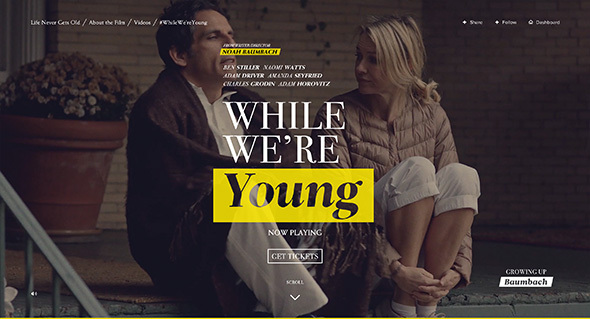 Promo site for the new film ‘While We’re Young’. Posing a few scenarios to the audience to watch a series of short clips from the film – all linking to the idea of things couples did when they were younger. Loads of nice touches, from pauses in the clips to reveal additional content, to nice animations and transitions. Love the full bleed videos and it looks lovely with great typography & layout – it looks great and really fits the feel of the film. Created by Watson D/G (@watsondg). 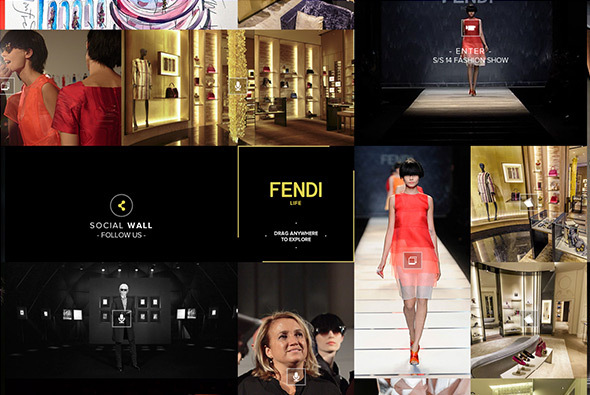 Site for Fendi to release exclusive interviews, backstage photos and some live streaming for Milan Fashion Week and for the Spring / Summer 2014 collection. 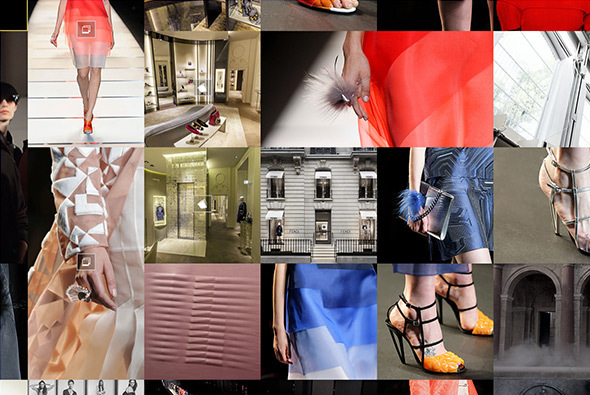 Nice infinite scrolling panel of images, galleries, videos etc – all inside this small / large image grid. Smooth transitions to the detailed view and nice mechanic for going through the carousel of images. Created by IMG SRC, Inc., Kaibutsu, and undefined Inc. Interesting concept for Nokia – Somebody Else’s Phone. The idea is that 3 people’s phones are on display on the site, you can go through their messages, videos, pictures, contacts, calendar and so on. Each character has a storyline that you can follow in real time across the span of the campaign, even with ‘real’ phonecalls that you can listen to online. They each have a facebook page, some characters have flickr pages and some are interlinked. In typical advertising fashion they are aspirational, i.e. models, good looking, etc etc, their stories are relatively compelling – for example Anna the swedish student moving to London to get money for her studies, she has to model, so we see her going to castings and making friends, sending videos to her boyfriend back home and so on. Of course all at the same time as showing the features of the phone and being the primary tool to view the content. Made by W+K London and B-Reel. Campaign site promoting the new IKEA catalogue in Germany, released in September, as the name suggests: ‘Waiting for September’. It followed the days leading up to the release, where Nils sits in his flat and is visited by friends, does things, answers phone calls from the public, interacts with users on his laptop, and so on. 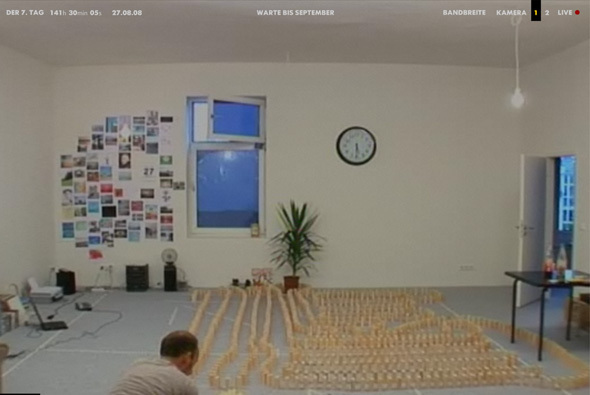 Over the days we see the room change when finally the new cataloge is released and we see his flat tranformed with IKEA products. Presented in a full screen format you see the live camera footage from a choice of 2 angles, you could also embed the live feed into your blog and so on. Very similar to the Diesel Heides campaign site but taken a few steps further. Its effectiveness lies in its simplicity, and the way the content has been thought out, in the end you can see the difference the furniture makes and it provided a sense of anticipation and buzz about IKEA. Nice idea well executed! 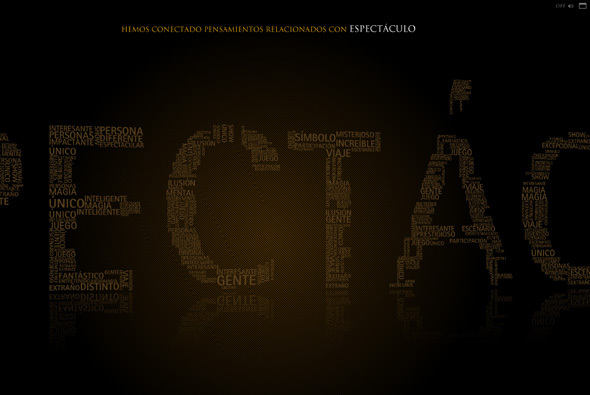 Interesting site that combines blog posts and images to make composite images of text and photos. 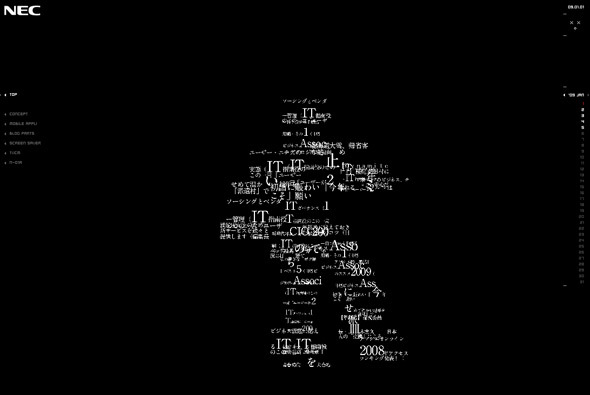 Some of the results are pretty cool, I particularly like the typographic montages. Very interesting way of presenting news, Spectra ‘visual newsreader’ for msnbc. 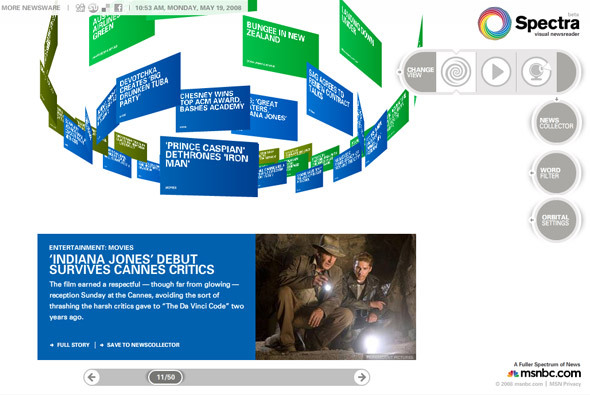 You selected the channels to view, which then appear in a rotating ‘cloud’ of news items. The news items can be explored, saved, or you can click through to the full story. 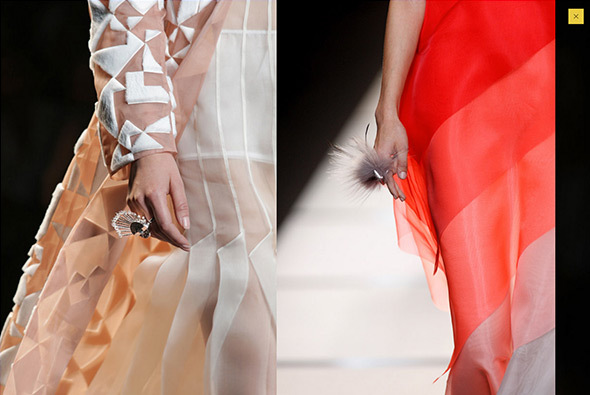 Your 3D view of the items can be changed and even interacted with a connected webcam – which is fantastic – as it works on the premise of colour. Each channel of news is a different colour i.e. blue for entertainment, hold up something blue to the camera and blue items will appear. What I really like is the attention to detail and the host of options and customisation available, your choices are saved, you can search – etc. Its a really nice concept and its always great to see new ways of presenting data in an interesting way. Created by Fluid and SSK. Smart Flash blog for Pill & Pillow. Great example of a good Flash blog, really simple to use, it looks good, and works well. 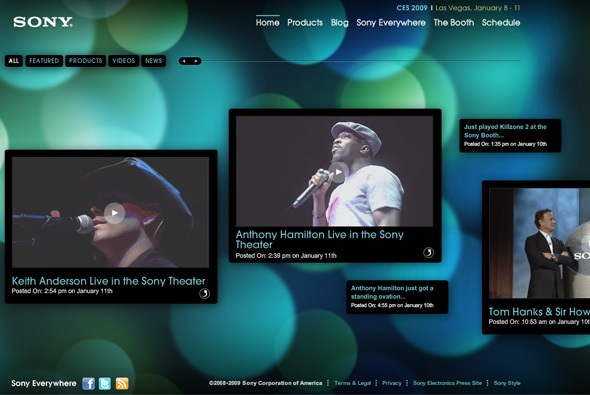 I like the way the posts appear on stage, and how the content changes to fit the browser window. There is some great content as well.